A lot of industries have been hit hard by the circumstances of this economic slump, and many of the effects of this crumbling economy have been witnessed here in Pittsburgh. Most recently, according to writer Barbara Ehrenreich of the San Francisco Chronicle, advances in electronic books and other easier methods of technological information sharing have been leading to the death of the book industry. Book sales tracked on www.bookwire.com show that the book industry has always been successful, at most times outgrossing both the film and music industries and always landing among the top three moneymaking entertainment proprietors in the United States. However, the most recent trend among booksellers all over the country has been a significant drop in sales percentages. Local booksellers all over the United States have been forced to file bankruptcy, and larger book chains like Barnes & Noble are making cutbacks to prevent a similar outcome. Last Wednesday, the Pittsburgh Post-Gazette reported that the Barnes & Noble bookstore on Murray Avenue in Squirrel Hill would be closing at the end of this year. Industries outside of bookselling, but greatly affected by its success, have begun to see the consequences of its failure. The Carnegie Library of Pittsburgh recently decided to close four of its local branches in Beechview, West End, Lawrenceville, and Hazelwood earlier this month. Additionally, the remaining branches will adjust to shorter operating hours, multiple staff cuts, and increased public fees. Due to the large amounts of recent public rallying, it’s clear that Carnegie Mellon students are not the only people who seem upset with the Board of Trustees’ decision at the Carnegie Library of Pittsburgh. The efforts of these citizens have not gone unnoticed. 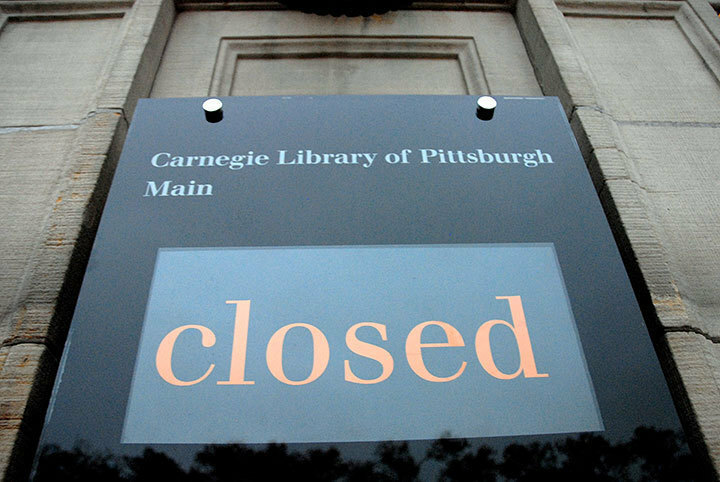 On Oct. 29, Pittsburgh Council president, Doug Shields, announced that he would propose a $600,000 grant to the Carnegie Library of Pittsburgh this year in order to keep the closing branches alive. While nothing is finalized, the move is a definite a step in the right direction for closure opposition forces. Fundraising efforts have also seen significant success. The Pittsburgh foundation was able to raise over $1.2 million for charity on Thursday, and up to $100,000 of it was directly donated to the Carnegie Library of Pittsburgh. Mayor Luke Ravenstahl also released a statement saying he was willing to increase the city’s contribution to the library system in order to keep the four branches open and the people happy. While the book industry is seeing significant downfalls all over the United States, citizens of Pittsburgh are unwilling to accept the local consequences. Though citizens have been able to have an immediate impact on the opposition against local library closures, having any influence on the closing of larger branch businesses like Barnes & Noble will prove increasingly difficult.